In this article, I will explain the process of publishing an Alexa skill to Alexa store. In this article, we will know how we can publish an Alexa Skill to Alexa Skill Store. Part 1 and Part 2 of this series includes developing the Alexa Skill. Log onto Alexa Skills Console. 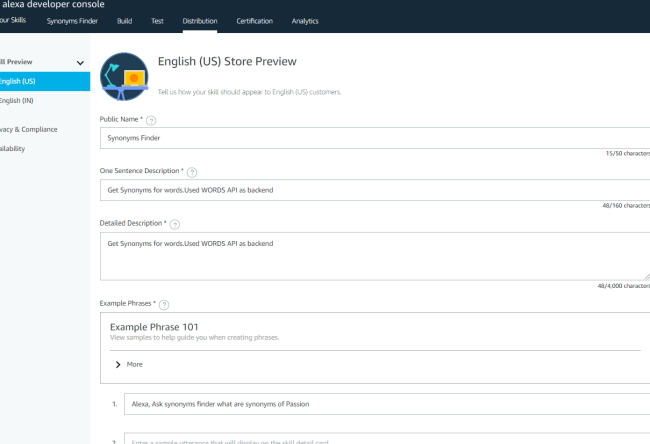 And Select your Alexa Skill which you want to publish to the store. On the top menu select Distribution and you will be navigated to the below screen. 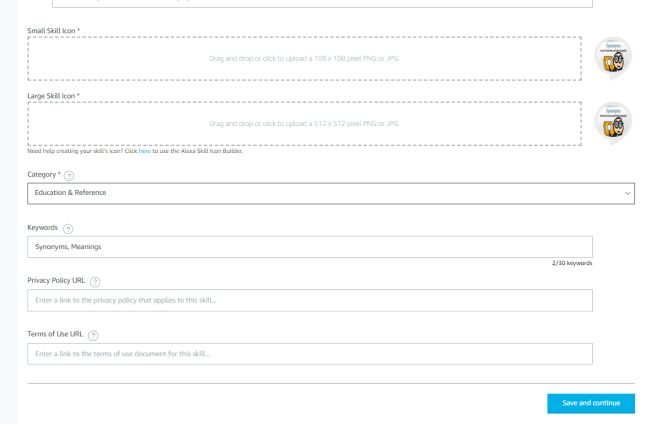 Add all the skill details like public name, description and example phrases of the skill you are publishing. provide icons, category, and keywords for the Alexa Skill and click save and continue. 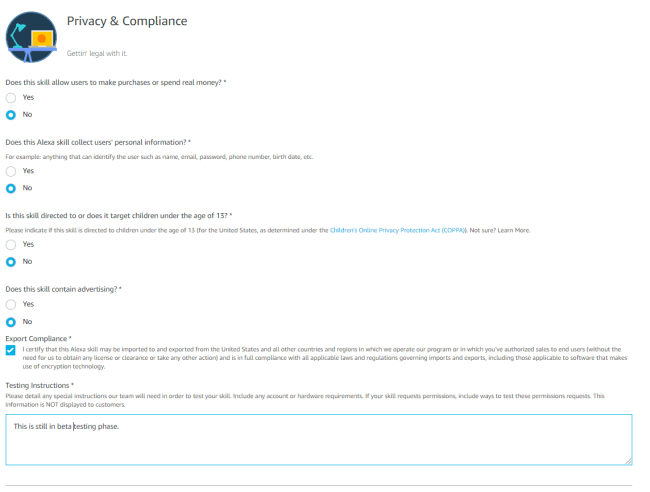 Now in privacy and compliance provide appropriate details as per your skill and click save and continue. In availability, the section provides details where you want to publish the skill. You can even select specific countries where you want to publish your skill. On clicking save and continue, you will be navigating to certification section where validation of the settings you provided is done. Click run for validating again. Now, select the functional test and click run for validation. Once there are no errors in the functional test as well, you are ready to submit the skill for Review. Click Submit for Review. 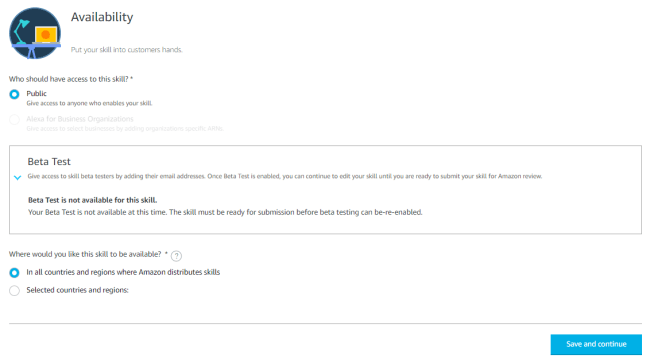 Alexa Skills team will test for all the possible test cases and will report you for any issues via mail on failed cases. Fix the issues and re-publish the skill. Once your skill is approved, your skill status will be in Live status. You can even apply in Alexa Developer perks once your skill goes live on Alexa Developers Promotion. That's it from this article. Please comment with any doubts.